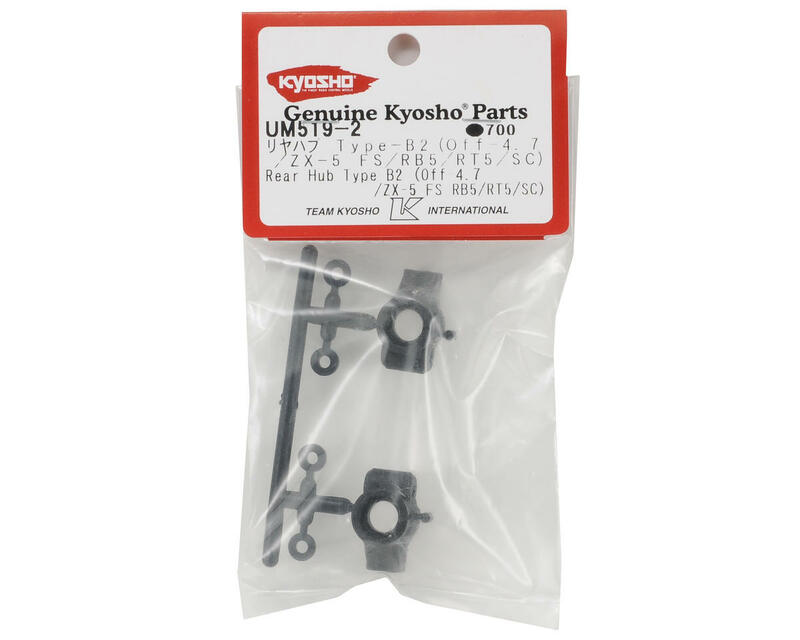 This is a replacement Kyosho 4.7mm Offset "Type B2" Rear Hub Set. 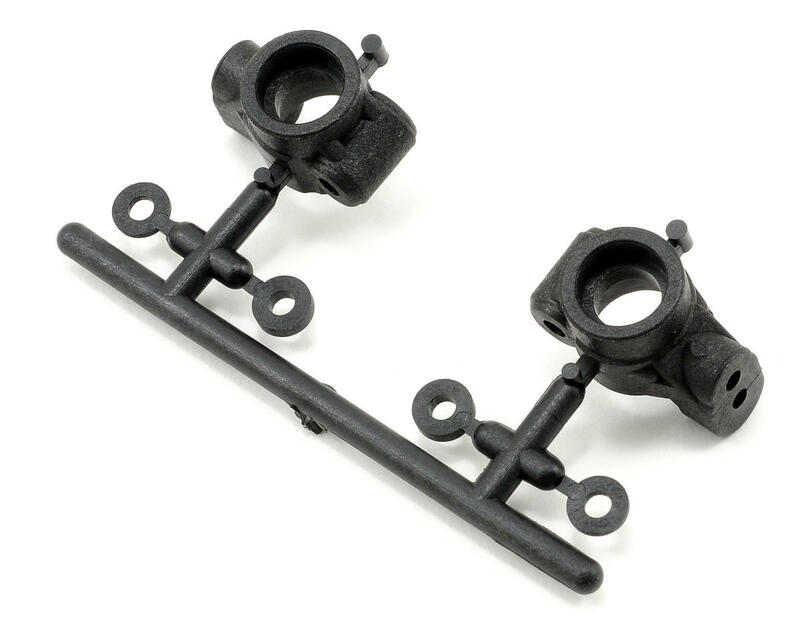 These hubs are standard replacement for the RB5 SP2 and Lazer FS2 vehicles. These hubs can be used optional with the Ultima RB6, RB5 SP, RT5, SC, SCR, DB, and Lazer FS vehicles. These are from the Ultima RB5 Factory Works Upgrade Kit (KYOUMW510). They feature updated upper camber link mounts that have been moved 2mm outward for more roll center adjustments. These hubs are stronger than the stock equipment, and will provide increased rear traction.